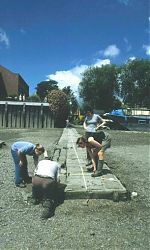 One of the most important observations the TDP / FROG make on any site is how to get on and off the foreshore safely, which means we are always undertaking assessments about the availability (or otherwise) of stairs and causeways, and their condition. 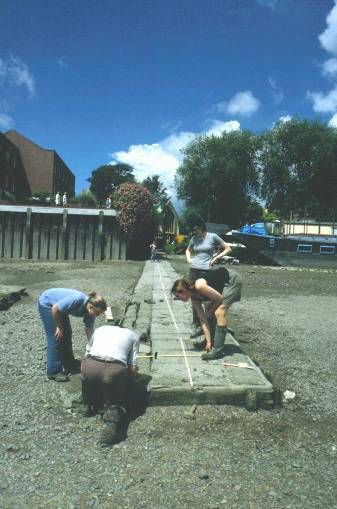 In this, we are following in the footsteps of the Port of London Authority, who published a survey of the steps and stairs on the Thames in 1995, and of the River Thames Society who have recently updated this survey. There’s lots of further research which could be undertaken around the subject of the stairs and causeways; the slideshow below highlights just a few of these…..
For information about travelling on the river, visit the Transport for London website for details of Thames Clipper and other ferry services. For a low impact way of travelling by water you could also check out the many different options for boating on the River Thames website.